The Stockholm based trio has re-entered Studio Sweetspot in Halmstad right after finishing up demoing and a pre-production phase in early September 2013. 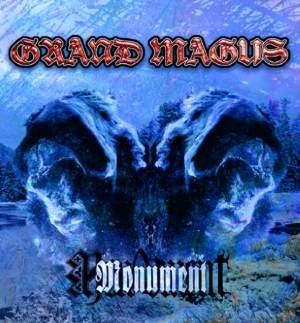 For the best possible result GRAND MAGUS have once again engaged with Nico Elgstrand as a producer, who already had his hands on the controllers for The Hunt, as well as the engineering force of Staffan Karlsson, who has worked with ARCH ENEMY and has mixed the most recent record of SPIRITUAL BEGGARS. 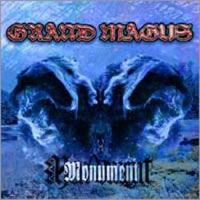 GRAND MAGUS was founded by JB Christofferson (vocals/guitars) and Mats "Fox" Skinner (bass) in 1996. Two years later, Fredrik "Trisse" Liefvendahl joined in on the drums and the first two demos were released. In November of 2001 the self-titled debut album - obviously inspired by the late creative period of bands such as BLACK SABBATH or DEEP PURPLE - was published on the European and US market. Monument (2003) and Wolfs Return (2005) followed, receiving but praiseful press reactions. On their fourth studio outcome, Iron Will (2008) GRAND MAGUS present a redefined style and grand expertise, still acknowledging their own roots, gaining perfect scores with the music press again and being entitled the soundcheck winner with German Metal Hammer.